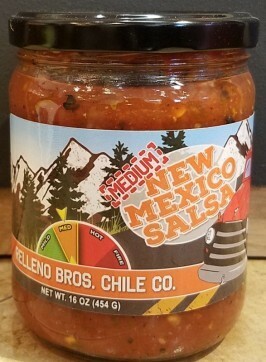 Our Relleno Bros. Chile Co.'s New Mexico Medium Salsa is our newest addition to our chile products. Great on Enchiladas, Burritos, and just about any Mexican Dish! This is probably the best salsa I've ever had. I stumbled into this establishment during a vacation and forgot the same. Thankfully Google was able to aid. Downside is they do not ship to APOs. I'm sure they could make a killing if they did.